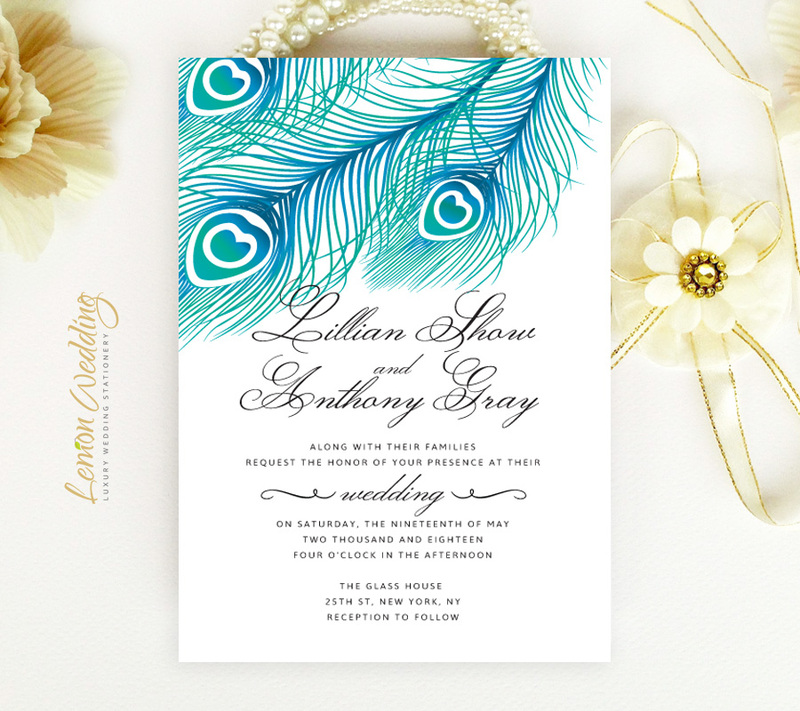 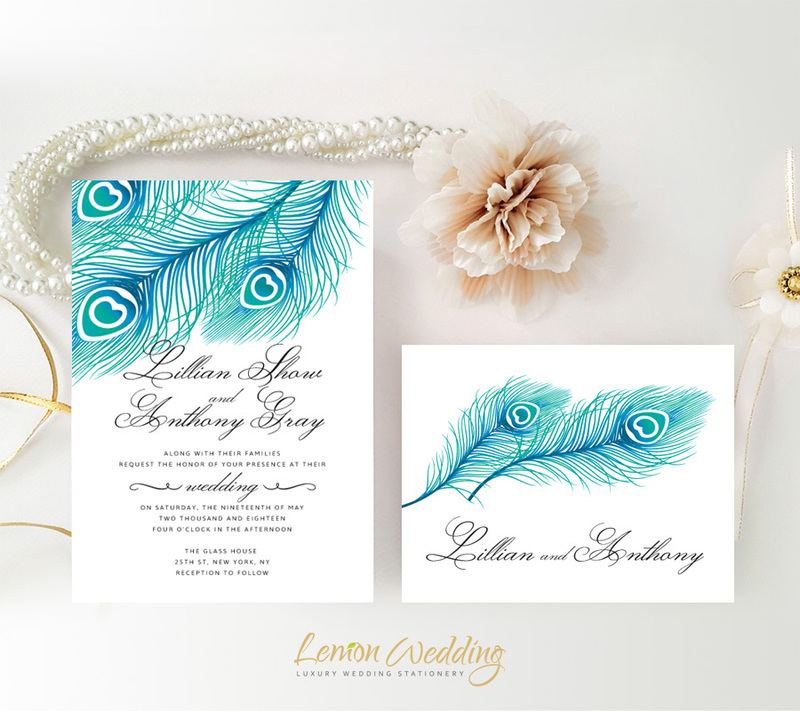 Inform friends and family when it’s time to celebrate your upcoming nuptials with our eye-catching Peacock Wedding Invitations. 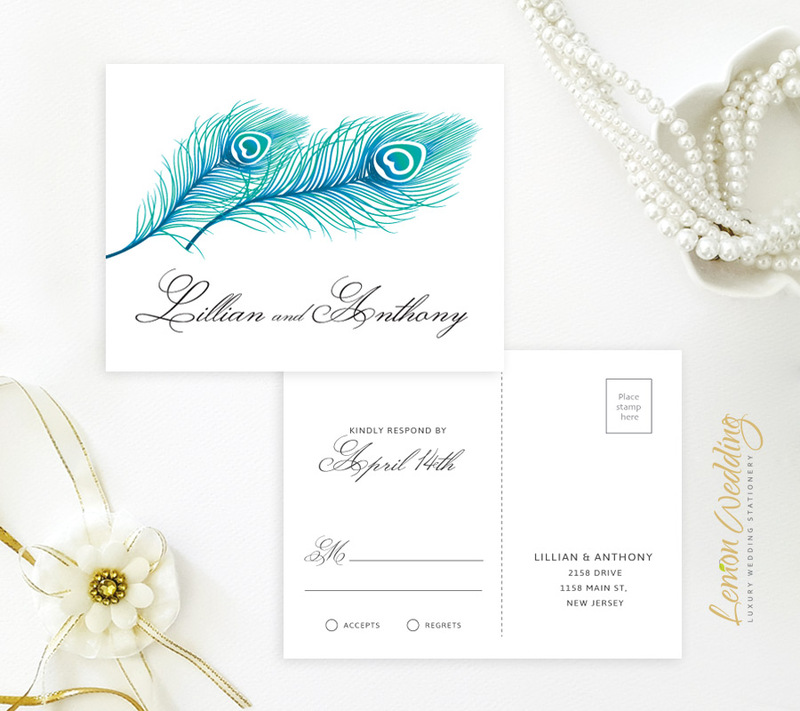 Our invitation set has just what you need to make the special announcement, including RSVP postcards along with the invites. 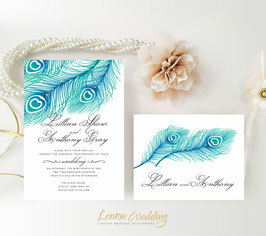 Each card features exquisite calligraphy paired with dramatic peacock artwork printed on a premium card stock.